Phones keyboards are fiddly to use so an app which lets you use your voice to activate controls on the phone could make the whole process smoother and easier. 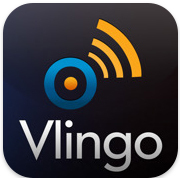 There have been a few apps that offer this, but one of the bigger ones is Vlingo. By opening the app and talking to it, you can perform a range of different functions without having to type any text. If you pay you can also address, dictate and send emails and texts. Saving time; helping people who find the little keyboards too small to see or to tap. Voice recognition. I love the thought of it, but is it ever good enough? Well I’ve got a pretty down the line accent and it worked okay for simple stuff. Find coffee shops in London – came up perfectly. This is exactly the problem that negative reviews on the iTunes store point up: “it’s only 50% accurate”; I tried the word ‘fully’ five times before giving up” etc. Other reviews are quite positive and claim that it learns to adapt to your voice and that as long as you speak close to the mic, it works. You’ll have to train both yourself and the phone for this to work reliably, but it’s free and does save time on internet searches.